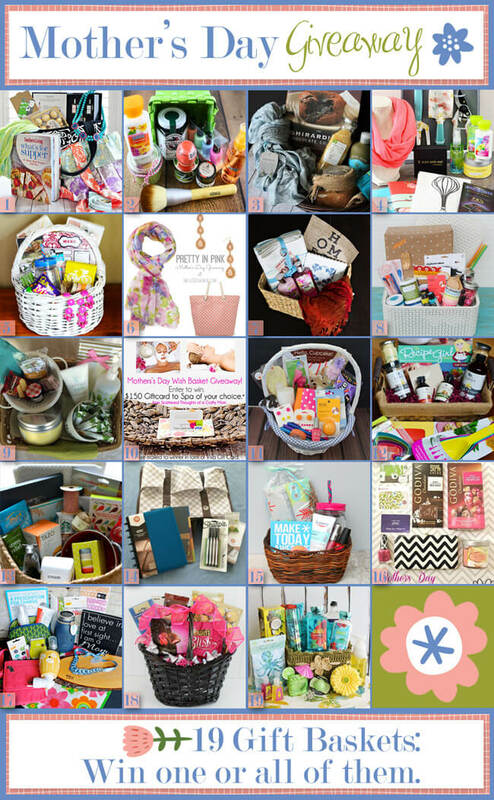 You could win one or all of the above baskets for you or your mom…or any special lady. 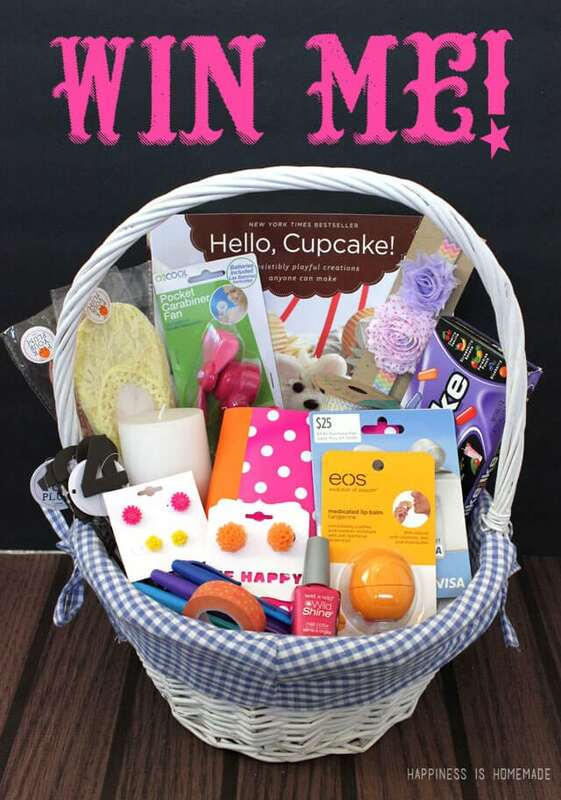 To see all of the other baskets up close, as well as enter to win all of them, click on the links below. Enter to win each and every basket or just the ones that really speak to you…your call! 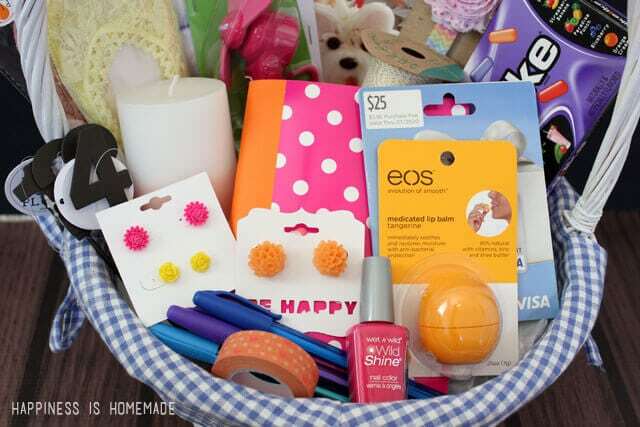 The baskets’ contents have been personally selected by each blogger— they’re filled with items to pamper, crafty fun, home decor and household items, beautiful jewelry, organizing supplies, yumminess, handbags, gift cards and even more! There’s something for everyone! My basket is full of some of my favorites – a polka dot notebook, washi tape, gold baker’s twine, nail polish, EOS lip balm, Hello, Cupcake! book, a flower headband and lots more goodies! Oh yeah, and there’s a $25 Visa gift card in there, too! « Get Bold With Two Delicious New Sandwich Recipes! Hi, is this giveaway open for international followers? I’m so sorry, but due to the weight I need to ship via USPS Priority Flat Rate which means that it would be open to US followers only this time. I just love your basket!!! My 4 year old daughter and I would have soooo much fun with it!!! This basket is awesome! Thank you for the opportunity! love it want it!! thanks so much…..can never have to much craft supplies and other goodies! Would love this! So many cute things to have fun with! Such a neat basket, love it! Thanks for this chance. Oh my goodness – finally catching up on everyone’s basket posts and I just adore this basket and everything in it, Heidi!! This has been such a fun giveaway! I love all of your favorite things. Thanks for the giveaway and Good Luck to all. Awesome goodies, and I’m ok that your son needs his basket back (thanks to him for letting you borrow it). Thanks!